At last we finally manage to persuade this lovely lady to make a return to Autographica. Tanya Roberts will be joining us all weekend, She will also attend the dinner and do a photoshoot and lecture. 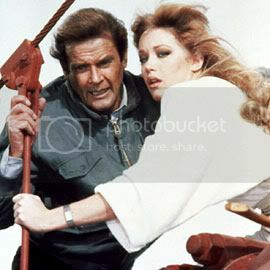 Tanya has a long list of leading roles and amongst the most memorable are as Stacey Sutton the main lead in the 1985 Bond Movie View to a kill. Tanya also played the lead in two memorable fantasy movies Sheena and Beastmaster. And to top it all was one of Charlies angels for 16 episodes in the hit series of the same name. It is rare that we have here a leading lady who has starred not only as a main Bond girl but also played the lead in movies and a Hit T.V series. Don,t miss this great opportunity to meet her. Great guest but will miss out as cant afford trip down. Will there be the chance get one via the shop? I think you might have made Indio's day with this one! i would say the same but that ship sailed long ago lol before i started cons so imagine how it is now lol, bad times but wow this is a great announcement, def getting a photo shoot!! Outstanding - I'll def. be making the trip now! Great guest. She was excellent to meet last time. Very pleased that she's doing a lecture too, continuing on from the last show adding actor talks. This voucher entitles Mr David Phillips to one big wet snog with extra tongues. Valid only on the weekend of Autographica, terms and conditions apply. The Bond poster I've been working on since 2003 will be in it's frame for Christmas. A simple "i will buy you a nice Coke" will suffice. But appreciate you are pleased. It has taken me 3 months work on this and it seems everyone is pleased. I will sleep tonight i can tell you. Not finished yet i will be announcing more guests over this weekend. Dave I'd suggest sleeping with one eye open, just in case Dufrense gets carried away and decides to follow through with his promise before the show! Jason/Dave, do we know if she has reservations about items she'll sign? I've got a Sheena and a few VTAK bits, but she also did a few other bits of promo work.. I will ask Tanya about the signing rules and regulations and get back to you on that one. A s usual signing certain items is always at the guests discretion. My eyes were open all last night waiting for confirmation. They will most definately be closed tonight. Perhaps you can keep an eye out for me ? Amazing, amazing, amazing, amazing, amazing, amazing, amazing! I will come to Autographica just for her, definately! Nice to be able to make your day . Btw, how come 10th Planet get Eric Roberts in Barking? What with all his Heroes etc (and Expendables) work, I'd have thought he'd be Autog, or CM at least..
Two words leap to mind - yum, and yum! Off topic I know - but can you imagine how much money he'd make at Autographica compared to a signing session in a library? Hi Dave, I hear she has signed the cover of previously inferred mag Apparently my friend didn't try about getting other shots signed.. I maybe wrong but I think he was visiting over this period and agreed to do a con on the sat (which has now canceled) and 10th planet also booked him for the sunday to take advantage of the visit, it maybe the other way round but i think both organisers were taking advantage of a rare visit to the uk as like davib b says he is very busy and in demand. but yer LFCC would of been perfect for him. We booked Tanya not Eric ! By all means open the debate in another topic. She seems to be an infinately more appetising subject for discussion than a man with a face! Definitely makes the journey worthwhile now.